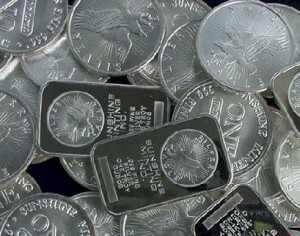 Precious metals are more or less holding even to begin a very busy day for global investors. The top news story of the day and week came in the form of the European Central Bank meeting today. Because it was widely expected, in the lead-up to today, that the ECB would announce some sort of big monetary policy shift, the marketplace had been turned on its head. For gold and silver, the last two or so weeks have seen spot values ascend, fairly rapidly at times. Though there was some economic data dealt to investors this week, most of it was negligible simply due to the fact that most of the market’s attention was focused on the ECB meeting. Prior to this week kicking off, most investors were expecting that the European Central Bank would finally announce the institution of their bond-buying, quantitative easing program meant to stimulate the EU economy. Thanks to a ruling last week by the European Court of Justice saying that the ECB’s proposed QE plans were legal, most everyone became convinced that this was the week we would hear of Europe’s QE plans. This morning, in the wake of the ECB’s meeting, ECB president Mario Draghi announced that there will be an additional 60 billion euros worth of assets purchased each and every month. This was larger than the 50 billion euros that was expected and somewhat surprised investors. For precious metals, it seems as though the ECB’s decision to implement QE measures is being taken as a positive. Spot values in the lead-up to this week’s meeting have been on a constant uptrend and are sitting at and around 6-month highs. Now over key points of technical resistance, it will be interesting to see if metals can hang on to recent gains or if profit-taking, similar to what we saw yesterday, will bring spot values crashing back to earth. As we look ahead to the final day of this week, it will be interesting to see how global investors continue to digest today’s ECB decision. Early indications show that today’s decision is beneficial for gold, silver, and most equities. Whether these gains hold through the end of the week, however, remains to be seen. As it stands right now, however, gold and silver spot values are looking like they will be making nice weekly gains for a third consecutive week. This entry was posted in News on January 22, 2015 by htbscom.